At the Law Offices of Marc H. Supcoff in New York, New York, we specialize in real estate transactions and construction law and are dedicated to our clients’ success. Whether representing owners, developers, property managers, architects, engineers, contractors or subcontractors, we are passionate about providing each client with experienced and diligent counsel so that they may proceed with confidence to achieve their goals. We are proud to represent clients in the New York City metro area and Northern New Jersey. 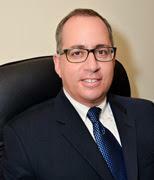 The Law Offices of Marc H. Supcoff acts as general counsel to a number of small and midsized companies. Mr. Supcoff regularly negotiates property access agreements for property owners. When necessary, he also has successfully represented owners clients before the New York State Supreme Court to obtain an RPAPL 881 license allowing access to an adjacent property for the purpose of completing a construction/improvement project on the client’s property. Mr. Supcoff is licensed to practice in New York and New Jersey, and regularly appears in the state, local and federal courts of both states. We offer free initial consultations and accept all major credit cards for the maximum convenience of our clients.